This week our guests in the studio were young local band Sour Kix! 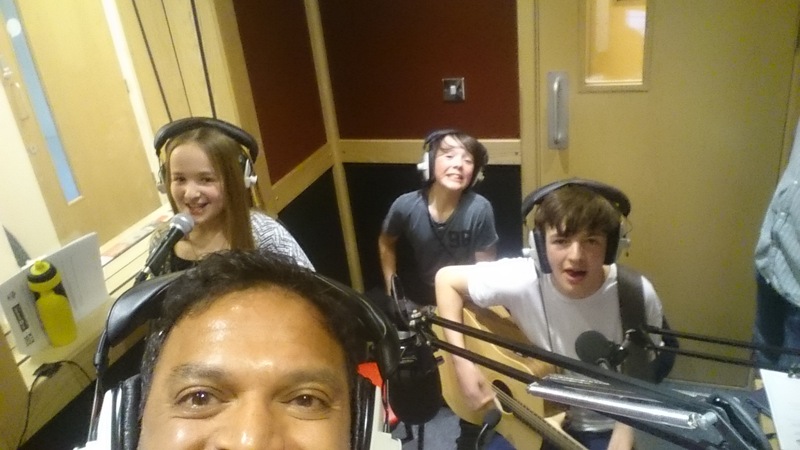 We were joined by Amelie (10), Louis (15), Ollie (13), along with Mum & Dad, Rachel and Hugh. They played a few tracks, live in the studio for us, including their brand new single – Wonderful! 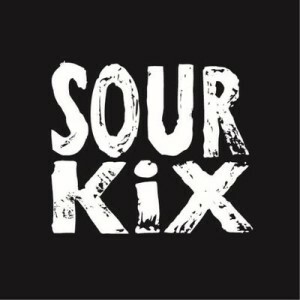 We had a great chat about loads, including how they all started in music, their gigs, their role as WWF Ambassadors, their appearance on TFI Friday and so much more. They selected some songs too, and we talked about and played these in between our chat. 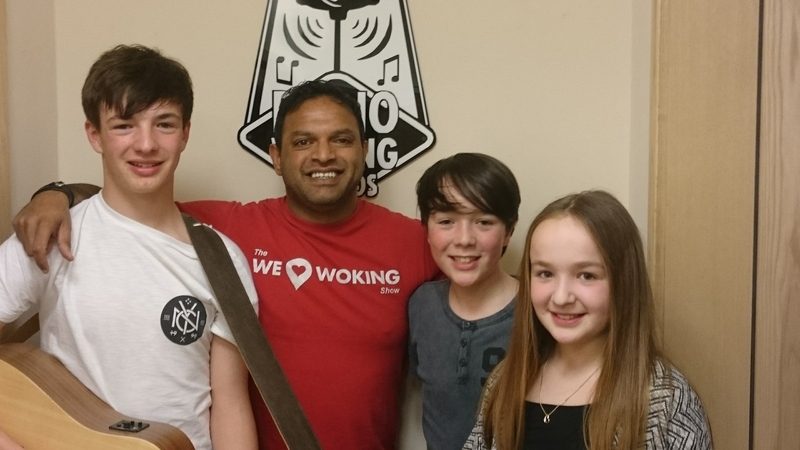 In the second hour, we had a phone in with Erika, another local musician who wrote “Wonderful” and helped the band to record it. They are also on Facebook and Twitter, so why not give them a follow to keep up to date. 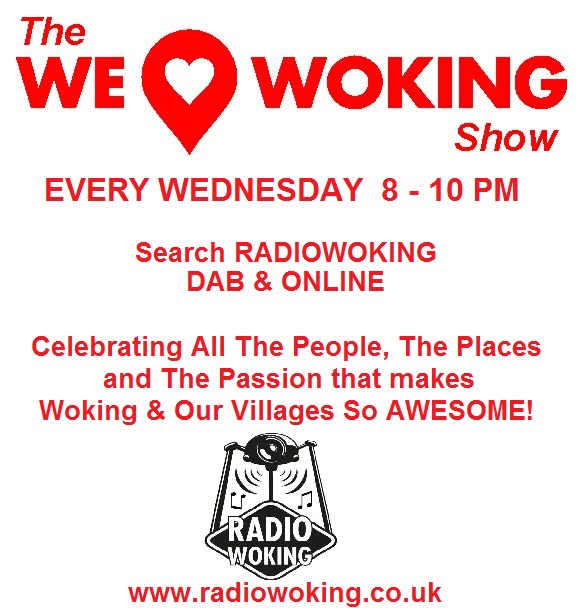 Join us from 8-10pm Every Wednesday here on Radio Woking, for local guests, chat and music. 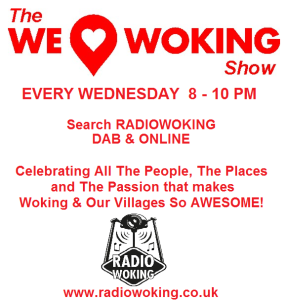 You can tune in online http://www.radiowoking.co.uk/listen/ and we are now also on DAB Digital, just search Radio Woking.